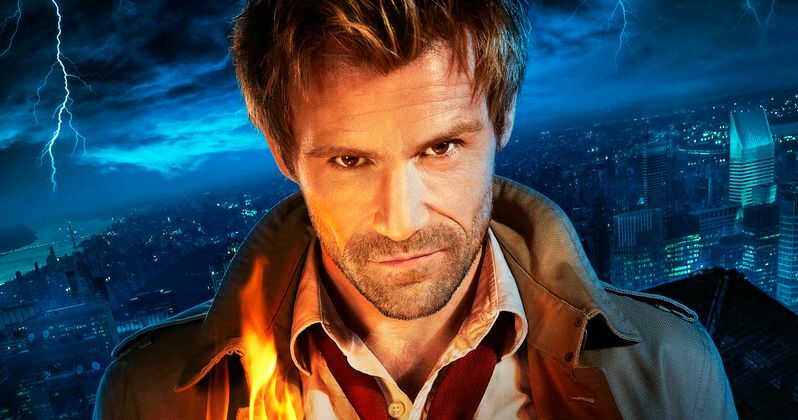 NBC announced today that their new series Constantine will stop production after its initial 13-episode order, but it still remains in contention for a Season 2 renewal. NBC recently made similar decisions to stop production on Thursday night comedies Bad Judge and A to Z after their 13-episode runs, but while those shows were later canceled, Constantine still has a chance to be renewed. The show, which airs at 10 PM on Friday nights, has been averaging a 1.4 rating, a 5 share and 4.5 million viewers per episode throughout its Season 1 run, which are considered solid numbers for a Friday night series. Variety reports that network executives are encouraged by the show's lead-in retention, following their Friday night mainstay Grimm, and DVR playback numbers. Matt Ryan stars as John Constantine in the series based on DC Comics' Hellblazer, with a supporting cast that includes Angélica Celaya, Harold Perrineau and Charles Halford. The series is executive produced by David S. Goyer, Mark Verheiden and showrunner Daniel Cerone.